In Spain there is a “special roasting process that results in a remarkably robust, full-bodied cup of coffee, without a hint of bitterness. 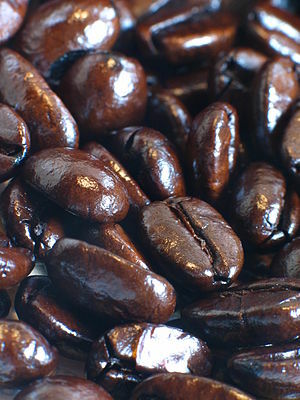 A portion of the quality raw coffee beans are coated with a fine mist of sugar before they are poured in the roaster with the other quality beans.” This roast is called Torrefacto, something that Torrefazione Italia brand is likely referring to. A couple of major Spanish vendors may ship to the US. I’ll keep you posted if I score some. Scientifically minded ones can read about biochemistry of coffee instead.